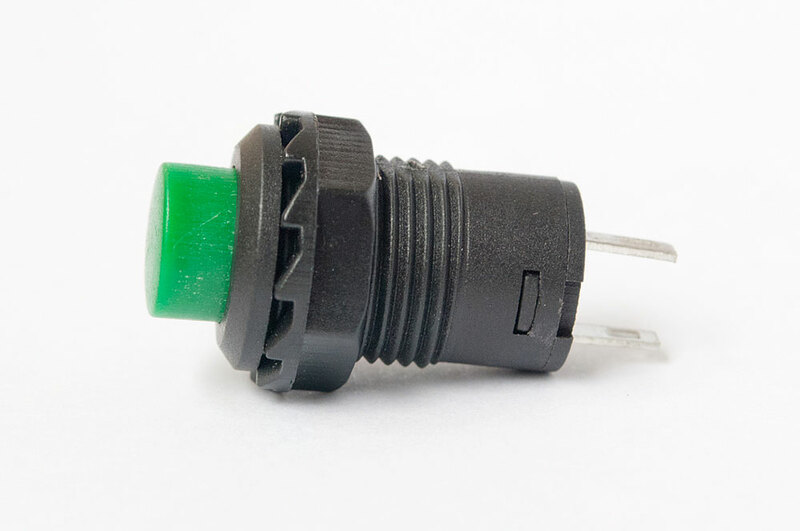 This push button switch will place the control of your project into your hands! 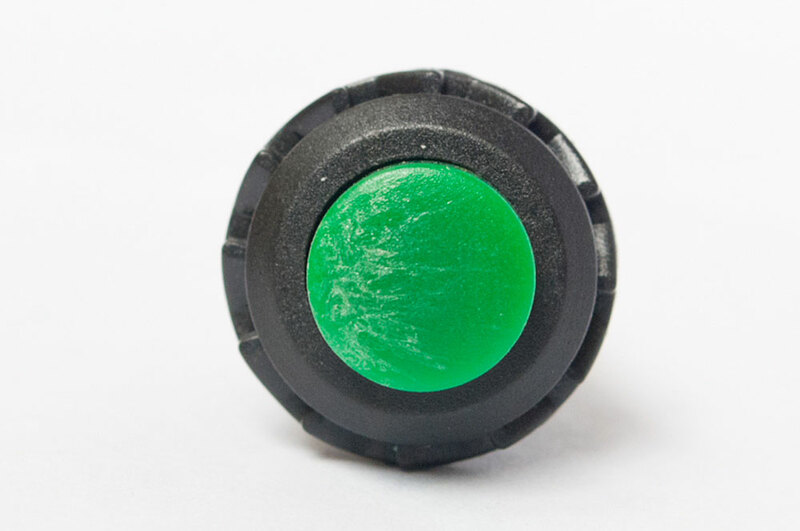 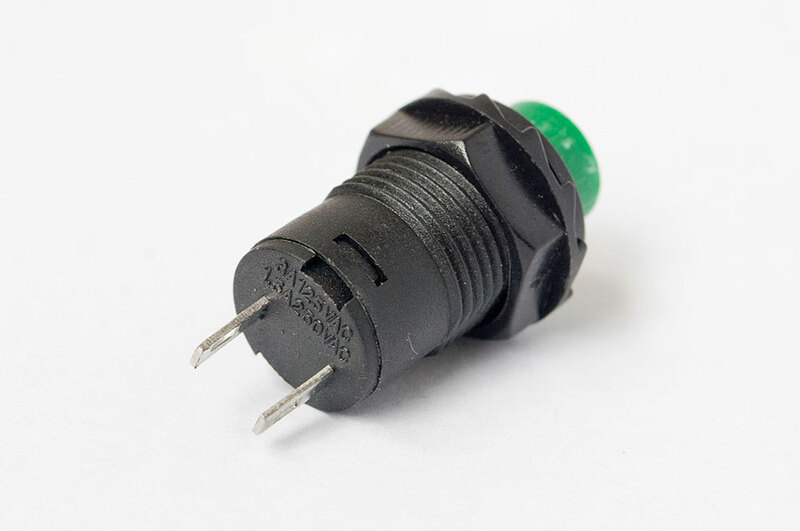 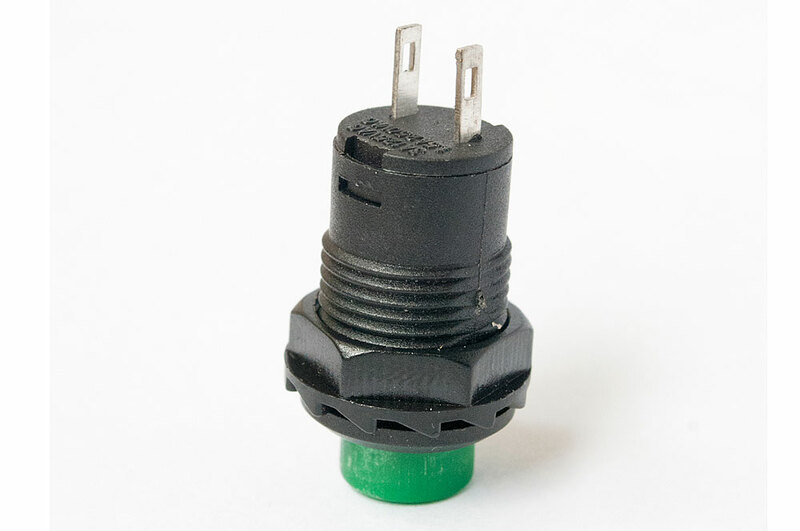 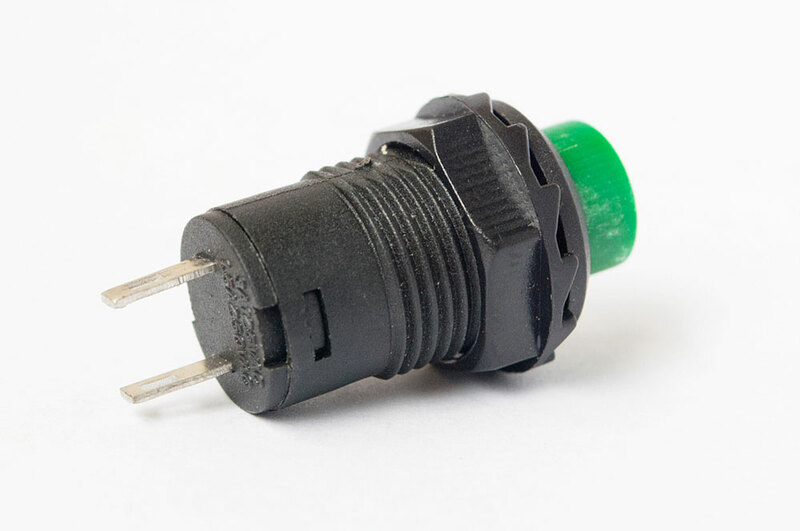 With a black plastic body, green button, and blade type connections, this button will easily integrate into your project. 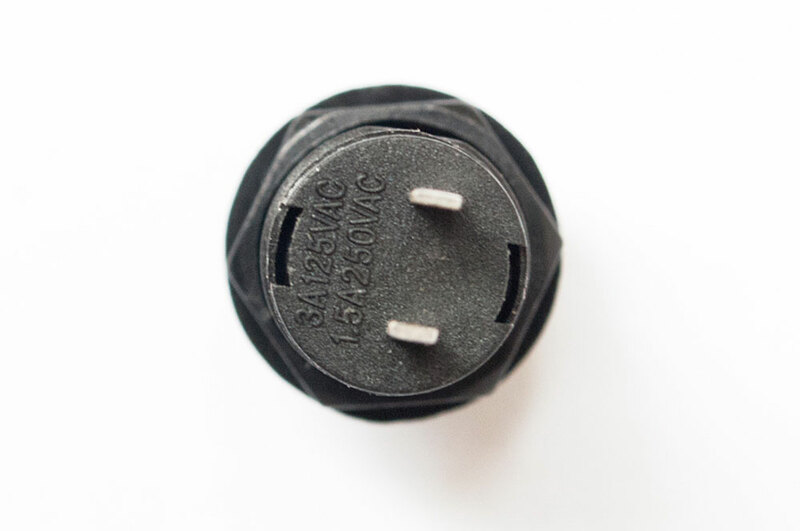 It is a latch switch so it turns on the device and stay on when the switch is pressed once and turns off the device when the switch is pressed again.